This poem was written outside the regular prompt calls. It has been sponsored by curiosity. It belongs to the Shiv thread of the Polychrome Heroics series. This is the third in the triptych beginning with "Blackwork" and "Redwork," so if you haven't already read those, go back and do that now. or a few related ones. just one feeling or memory to focus on. to explore them all in turn. which he was getting better at all the while. actually good at that didn't get him in trouble. it wasn't too hard for him to do. Envy was green and jealousy was yellow. supposed to match those feelings. sadness and depression were blue. to draw that in red and black. were so smooth and cool, like ice. inside him cooled off some. in trouble less often than reds. pearly glitter like the trail of a snail. seem to pop off of the page. cut you if you weren't careful. and what were his plans then. not the same way they did. and in a gang, for another. made it much longer than that. and more of someone else's anyhow. he'd ever see another one. nice gel pens and that snail one. white paper so it ought to work. anything to show him, Shiv said "Yes,"
and whipped it out to hand him. "This is blank," Dr. G said, frowning. "Nope," Shiv said with a smirk. "Polar bear in a snowstorm." "I've heard that joke before,"
waiting for the light to catch the ink. trying to find all of the faint lines. for making one of those in the yard, too. Shiv already knew he was disturbed. 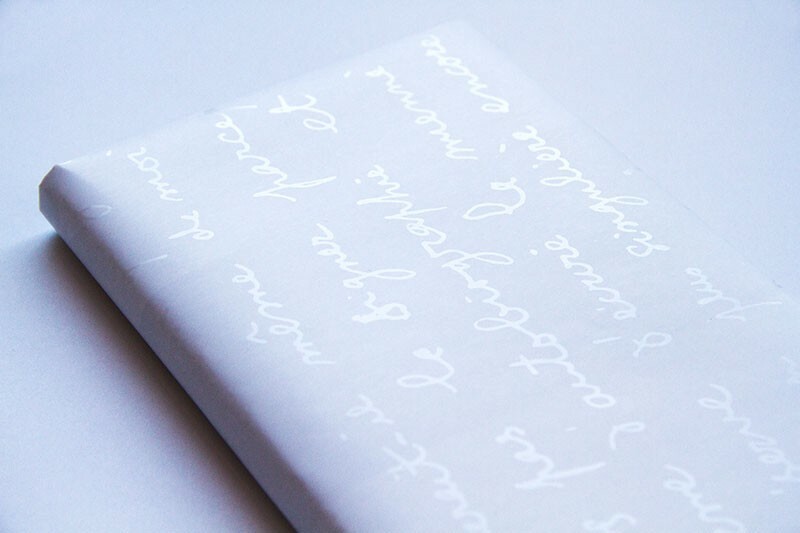 in curls of clear glitter ink. "This is really clever," said Dr. G.
when you made this picture." "and nobody would stop me now." the contradiction, but it never came. wide and full of pride. "Good for you." because Dr. G had thrown him off his stride. "Do you think about snow a lot?" Dr. G asked him then. "I dunno," Shiv said. "I like snow. think ahead any too much." about winter, though," said Dr. G.
"Ah, your kids won't shut up about it,"
vacation, or Thanksgiving, or Christmas. I don't even know where I'll be then, or if --"
He shook his head angrily, white bangs flying. just say the word, and I'll make them stop. if you don't want to see them." "I don't want to get anyone in trouble,"
as if to erase the idea. "Not in trouble, just out of your hair,"
Dr. G said, "if that's what you want." "Not what I want, just -- I don't know,"
I think about, is all!" "Shiv, that's what friends do,"
plans to see if they could get together. that's so unfamiliar to you." I can survive this too," Shiv said. in ways he couldn't name. to draw while we talk, or not talk,"
Dr. G offered, opening his art case. for the packet that held the supplies. "There's white or colored paper,"
the contents of the main pocket. a large sheet the color of eggshells. "I'm familiar with it," said Dr. G.
My wife likes it, and so does Molly. that style. Aida prefers redwork, though." Dr. G had taken that one. out of his machete. Perfect. thinking about your future soon,"
changes a lot of things." "I know, I know," Shiv said. was getting so spoiled from that. your mood down," Dr. G said. need a change of perspective. doing better, that might help." his attention to his own picture. a thin sliver of moon in pearl. that he might have one. you're working on over there?" Color theory explains how colors work together, including the use of limited palettes. Here's a lesson combining art and emotions. These exercises focus on different limited palettes. Warm and cool colors most often refer to sets (red, orange, yellow vs. green, blue, purple) but can also refer to variations within a single color (warmer scarlet and cooler crimson). Here is an exercise contrasting warm and cool colors. This one uses warm and cool colors to contrast between land and sky. This worksheet explores color theory. T-American creme pastels, like oil pastels, come in sets of warm colors like this batch. 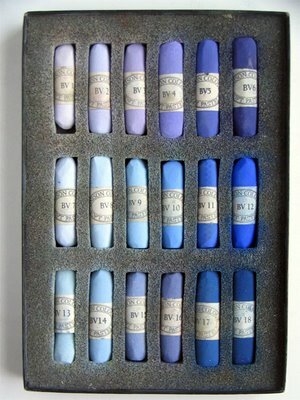 Here is a review of cool tones and their pastels. Analogous colors are adjacent on the color wheel. Here is an exercise in analogous colors for oil paint. Values refer to light and dark in colors. This exercise in value drawing is for charcoals. 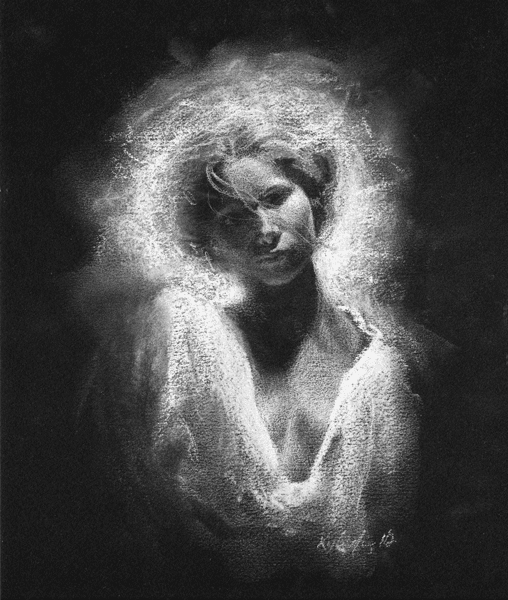 Monochromatic art uses a range of lighter and darker values within the same color. Here are some examples of monochromatic art and photography. Learn how to paint in monochrome. Check out this exercise for a monochromatic winter scene. Emotional colors include green envy, yellow jealousy, blue depression, rose counterpoint, red and black anger. I have a clear glitter pen. These things are awesome. Colored paper makes an interesting base for drawings, especially very dark papers. There are tips for using pastels on dark paper. Lighter colored paper is good for different things. You can test values and build up light to dark areas. Here are some lovely colored drawing papers and instructions for tinting your own paper. Gang members have a very short life expectancy, which includes not thinking about the future because they don't expect to have one. However, don't blame gangs for this: it is the same for almost all poor people. They "make bad choices" because they are not permitted any good ones. Shiv's experience growing up was just like that. Furthermore, gang life often outcompetes socially approved alternatives such as churches simply by meeting people's needs better. Poor kids need money and crave acceptance; gangs provide that. In order to outcompete the gangs, outreach organizations must understand what people need and then deliver it, better than the gangs. Here are some effective strategies for assisting people in leaving gangs. Here is an example of white ink on white paper. This works best with glossy gel ink on matte paper, white pencil/pastel on off-white paper, or some other subtle contrast. Drawing with circles/ovals is a basic art skill, along with other simple shapes. You can construct a figure with these basic shapes, then add detail. Use blocking to compose a picture. See stages of art from sketch to color. You can use ovals to draw a polar bear. Learn how to make a polar bear from snow. Regrettably, when children make creative snow sculptures instead of ordinary ones, adults often disapprove and imply that something is wrong with the child. Their hard work and originality is rarely valued. Peer rejection is another problem. These images are typical of Shiv's experience with snow sculptures. "Polar Bear in a Snow Storm" is a running gag in the art world. However, some people have actually done it, such as this lovely example by Bruce Shingledecker. Steepling hands can indicate thought. The body language of hair can reveal anxiety or withdrawal through touching or covering. These are examples of defensive body language. Exposing means confidence or aggression. Floppy hairstyles may be unparted, center parted, or swept so as to cover one or both eyes. These styles facilitate hiding and revealing gestures. Learn how to style the emo hair. Whitework embroidery customarily uses white thread on white cloth, as in this example. White thread on black cloth is another variation. 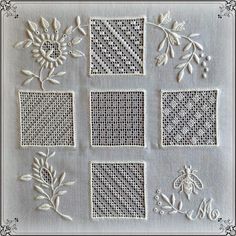 Explore some techniques of whitework embroidery. Whitework art typically refers to white on black pictures. Learn about drawing with white pencils on black paper, like this picture. This set of pastels offers shades of gray between black and white. Another set offers the palest of pastels. Boundaries in therapy can prove challenging, because different people need different things, and if you set them too loose OR too rigid, that causes problems. There are tips for therapists. Also clients should think about setting boundaries. There are also metallic pastels. and pearl ones. Hope is an important key to the future. It has many benefits. Here are some ways to cultivate hope. Shiv is getting more done with Dr. G precisely because of the time he spends working on the art for emotions he understands or is trying to understand. Graham would have toned them down at first, but he does want Shiv to realize that this is /how/ people become friends. The kids see the goal as worth the wait-- Shiv is their friend. None of them are worried whether Shiv will stay strait, only worried that he might hurt someone who didn't start the fight. Exactly -- Dr. G. is finding nonverbal ways to work on the things that Shiv doesn't want to talk about. That's fine. What matters is that Shiv has a way to process things that doesn't make him so miserable he avoids it. He likes the art. He loves the colors. It's probably even better for him than talk therapy would be, because some of the worst damage happened when he was barely verbal. Shiv doesn't even have clear memories of that, just a lot of fucked-up feelings and occasional nightmares. Aw, yay! :D That makes me happy. I would have bet on Heron first, but then again, he was pretty insistent with Mallory. I wonder if Shiv will push at Molly the same way he does with Dr. Bloch sometimes. He's iffy about people with medical training due to a lot of bad experiences. Molly's laid-back approach might throw him off his stride. On the third hoof, he likes telepaths; he might like empaths too. He's iffy with her in the one poem I've written about them together, but she talks him into sunscreen safety. LOL yes, so very true. Since Shiv has no idea how that works, this is important. Most of what he's seen in the past are assigned greeters, getting thrown together, and hunting for proteges. The glimpses he's seen of real overtures, he hasn't recognized. Credible threat. Shiv doesn't seem to pick on random people, and he's far more inclined to finish a fight than start one. But he's also got that mean streak. If he sees someone in a category he dislikes, when he's in a bad mood, he'll pick on them to make himself feel better -- like cutting himself and then crying police brutality. 0_o Which is liable to get him a lecture if Dr. G catches him pulling that one. The inevitable fight with Stalwart Stan and Antimatter is different because they have history, and that one's going to wind up handled by Ambrose anyhow. Doctor G can actually rely on Heron and Molly in particular with a preverbal Shiv, or one stuck in oral fixation mode,et cetera. They had a neighbor who is a System, and learned most of the Protected personalities, while the Defenders didn't interact with them often. They can accept Shiv where he is. This is Zelofheda, by the way, and I wrote a comment on the other Ambrose poem that I forgot to sign. Just so you know. And yeah, Shiv is so right about making plans -- well, not about the part where he thinks he always does it wrong, but about how things always turn out differently. What's that saying? Life is what happens when you're making other plans? So nice that Shiv realizes he needs a change of perspective, and how he finds/makes some hope. :-) I really admire how you can illustrate concepts like these in the actions of your characters. I really like the Finnlings, especially Edison. Do they show up anywhere besides the Shiv thread? Just wondering. HI, I'm Dialecticdreamer. I write the Finns, and you can find them on my index-including more interactions with Shiv. \o/ There's a lot more left to sponsor, too, if you ever have spending money. Thank you! I'm delighted to hear that. I hate when plots have major changes without supporting them. I want Shiv's gradual shift from dickishness to more respectable supervillainy to make sense. Yay! I have written about them in a few other poems. Edison is in "A Prickly Problem" (not yet published) and I did one of Heron for Valentine's Day. However, these characters came from dialecticdreamer and she has written far more about them than I have. Visit her blog and browse the Finn Family index. cut you if you weren't careful. " Shiv drawing 'hope'. Huge! Someone give that kid a nicotine prickly pear lollipop. *laugh* It's Terramagne, someone may actually be making those. Hmm. Logically it would be in the southwest, where there's a pretty big smoking problem especially on reservations. Blazing Grass would probably know how to find them -- and he's a perfect interface between native and conventional healing modalities. Prompt for it if you wish! Nicotine prickly pear lollies could be so much fun. I have "food and cooking" on Trope Bingo. Is the fishbowl still open? It's good to see Shiv finding something that lets him process emotions in his own way. He's drawing hope for the readers too. I feel an odd semi-proprietary tug with Shiv, because it was me wanting to know what happened to him after the fight that basically launched this entire thread! And I'm feeling a lot better about the probable outcome of the inevitable confrontation these days. For a while I was seriously worried about Lawrence. Yay! He needs something other than talk therapy for that, because he hates talking about his feelings. Enough to make it one of the few punishments with real deterrent value for him. I'm so glad you did that. It has turned into one of the most popular storylines. Well ... that confrontation is still going to be a mess, because Shiv has it in his head going a certain way, without factoring in either their nature or his own changes. Now add in the fact that Lawrence is caught in the middle between Stan and Shiv, both of whom he has feelings for in different ways, and who hate each other mostly because of Lawrence and only secondarily because of their own personality conflicts. The initial problem can eventually be cleaned up. But Lawrence's badmouthing of Stan during their broken-up period did some damage that is never really going to go away. Lawrence has seen a few inklings of that before, but this is the core of it, and it's a trainwreck of muddled emotions. :D Won't this be fun? For those of us who don't have to do the EFA mopping up after it. I kind of feel sorry for Ambrose. *flutter* Oh this is just lovely. What a fantastic resolution to this triptych. I love the art; I love the descriptions and the last line makes me want to stand up and cheer and be very very quiet so I don't disturb this all at once. Thank you. I wanted to capture an arc common in art therapy: not understanding how to do it, hiding things, revealing ugly things, and finally exploring more positive concepts. So the triptych covers the last three points, after the practice was introduced earlier and Shiv started actually working with it. I think a lot of people feel that way about Shiv's occasional forays into functionality. Yes, exactly. :D I'm glad you liked this. I've been following Shiv and thinking about a few of the exercises. I don't like to -draw- exactly, but i have a few coloring books and a plethora of pages and believe I will be trying some of the coloring things you talk about -- like monochromatic, and emotion/color themes and such. Go for it. Many of the concepts translate well to other aspects of art. Color theory certainly applies to coloring books. I just reread the other two coloring poems, and then this, and the last bit just really got to me. I'm so glad for Shiv! I'm happy to hear that. I think he is making good progress too. While Shiv has few happy memories of the foster care system, some of the less-awful placements did leave an impression. It comes out in little glimpses. I think that one family was crafty and another outdoorsy. And somewhere, one of Shiv's foster siblings was not only a bookworm but the kind who constantly talks about what he's reading.